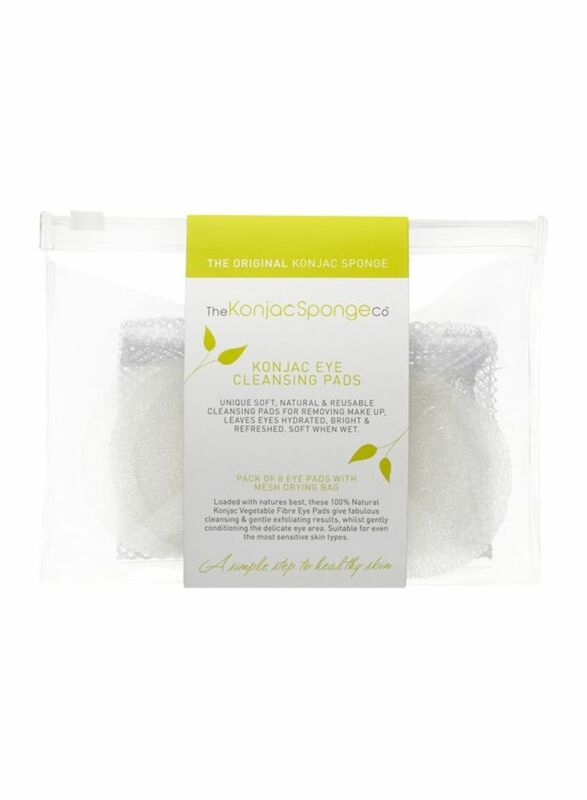 Konjac Eye and Make-Up Cleansing pads are the kindest way to remove makeup and delicately exfoliate the eye area. Add few of your favorite cleaning products, to remove your makeup. Designed for when you are on the move, so remember to hang your damp pads out to dry in the mesh bag between use.